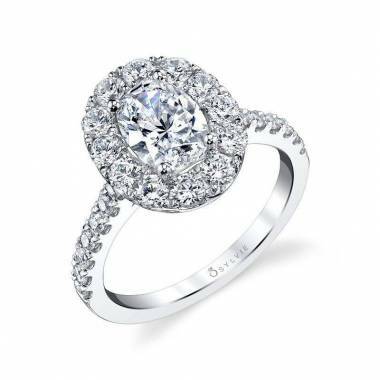 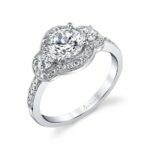 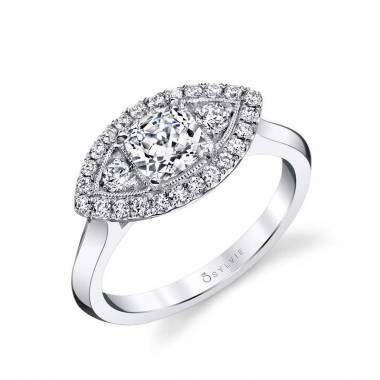 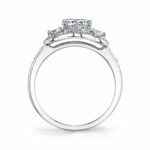 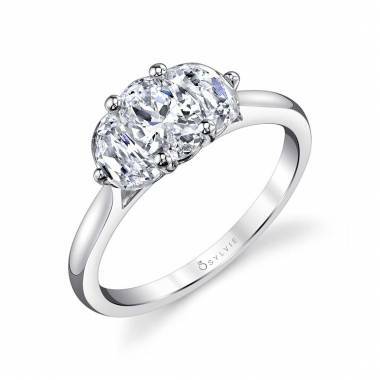 Featuring a 1 carat round brilliant center, this dazzling three-stone engagement ring is set in a halo of shimmering diamonds bordered with milgrain detail. 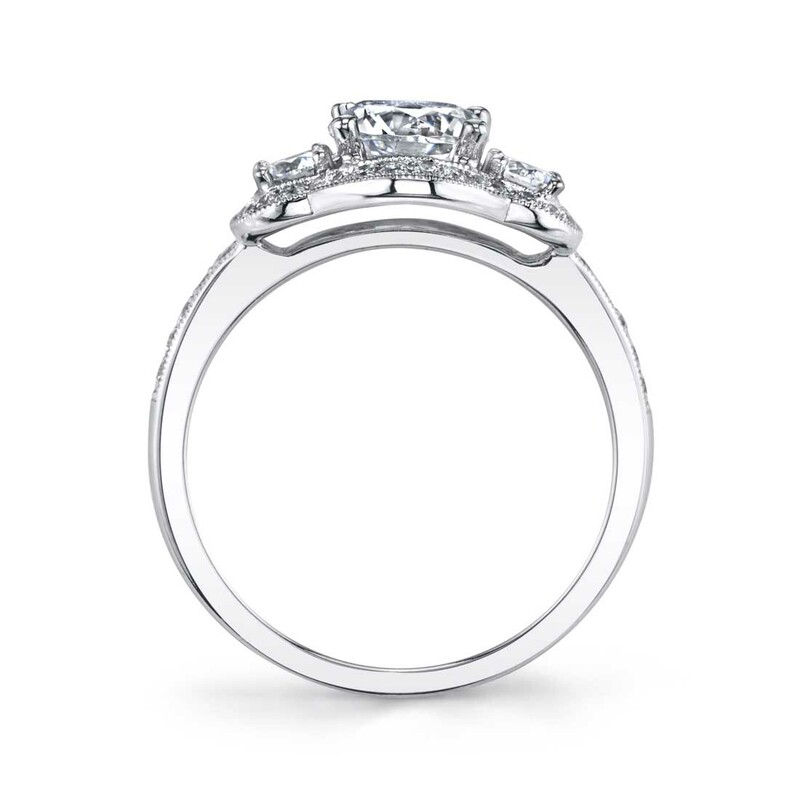 More diamonds cascade halfway down both sides of the shank with a milgrain border. 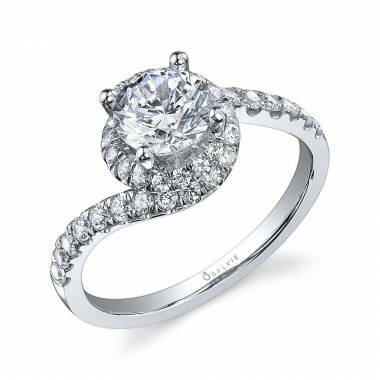 The total weight is 0.44 carats.